Part of the Thomas O'Brien collection for Safavieh rugs, the Julia rugs design was inspired by an English hand-block print from the 1880's. 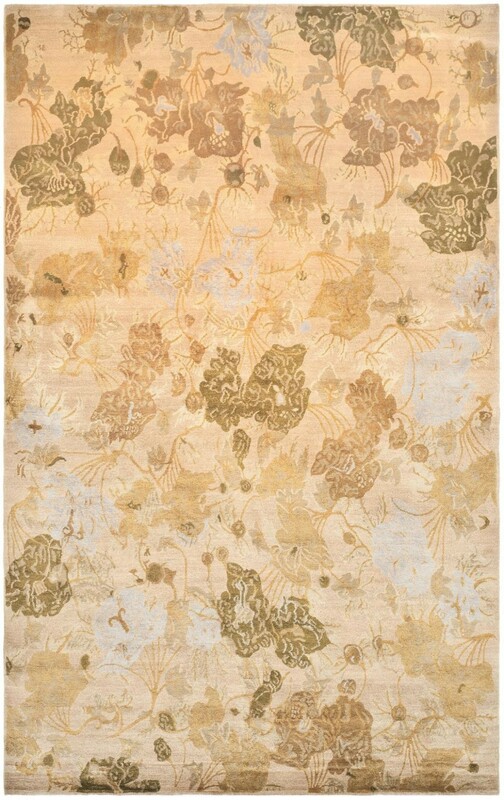 The layered, non-directional pattern of stylized foliage and floral bouquets paired with color blocking creates he sophistication and romantic air of the Julia rug. Knotted from silk, the translucent and shimmering qualities of this piece will create an impression in any contemporary home.